Red Top Fly Trap. Extremely effective fly trap. Ideal for smallholdings, farms or anywhere with nuisance flies. Low cost, easy to use and disposable. Bait is especially appealing to female flies so reducing the next generation. 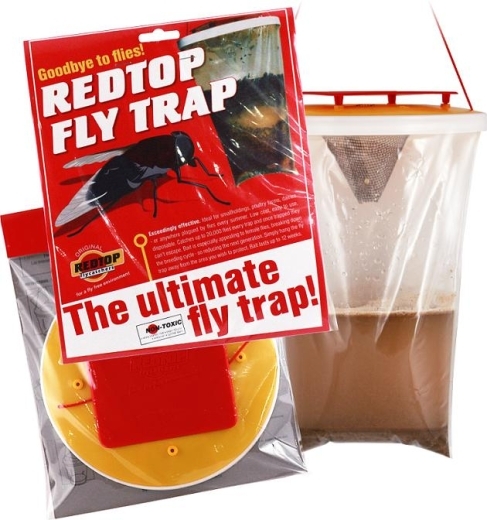 Catches up to 20,000 flies in one trap. Bait lasts 4 to 6 weeks.